increasing. Contact your service provider for details concerning your particular phone. 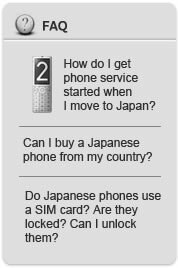 So, you can buy or rent a phone in Japan. 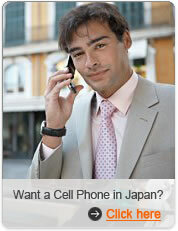 In Japan the cell phone prices vary by store but as much as $100. The general rule is supposed to be if you go to a big area like Shibuya or Shinjuku, since they are crowded and get lots of business they can charge higher prices. If you go out to a smaller store at a smaller station you'll get a better price. The AU Casio phone with the camera and GPS was at most places 35000 yen. It really depends on the phone and the place though. Phones range from free to 30000 yen (About $250). Generally the very newest phones (within the last 6 months) are $250. Those are the top of the line phones.